Governor Mike Pence gave a stirring speech to thousands of NASA and space workers on Florida’s Space Coast, declaring the Trump-Pence administration would restore our space program and focus on deep space exploration (Moon, Mars and beyond). Flanked by the Space Coast’s own Congressman, Bill Posey, the Chairman of the House Space Subcommittee, Brian Babin of Texas, and the former Congressman from the Space Coast, Dave Weldon, Pence’s message was welcome news in a campaign where many worried the next president would continue Obama’s policies which dealt a near-fatal blow to deep space exploration. This was a powerful message of support and hope for commercial space, NASA and the greater community of space supporters across America, and offers the prospect of a very real “Journey to Mars” in marked contrast to Hillary Clinton’s likely continuation of Obama’s destruction of space exploration plans. Pence would chair a revived National Space Policy Council which would restructure NASA to focus on deep space exploration, eliminate functions duplicated by other agencies such as global warming theory advocacy, structure new relationships with commercial space companies, and advance plans for launching Americans on deep space exploration missions during their first and second terms. A Trump-Pence administration would set NASA on bold, new course for breathtaking accomplishments in space within the next administration; to make America great again in space for real. I have to tell you today as I stand here on the Space Coast, it is great to be back. Because I’ve got to tell you, I was raised in a generation of kids sitting in front of black and white televisions, watching from afar what you all were living, here in Cocoa Beach. I’m awful proud to think of the Mercury Program; the Gemini Program; the Apollo program. These are the anthems of my youth. The inspiration not just of America, but of the world. I’m proud to say Perdue University in Indiana has educated more astronauts than any other university in America. And Gus Grissom grew up in Mitchell, Indiana. Karen wanted me to point out to you we actually vacationed near Cocoa Beach just to be near it all, before I was ever even elected into Congress. When I was in the Congress of the United States, one of my very first assignments was to serve on the NASA subcommittee, at my request. And our families had the great privilege to be here to see those launches go into space. It’s been incredible to me. And let me tell you something, Donald Trump and I have a plan. To make the American space program great again! Our space program needs new leadership, and a new vision. And we’re going to work with the Chairman of the NASA subcommittee who was just on stage with me, Congressman Brian Babin, and we’re going to bring a new vision to America in space. As Donald Trump has already said, we’re going to expand private-public partnerships to make sure we’re investing using all the resources of the most powerful nation on earth. We’re going to focus the mission of NASA on space exploration. We all know that space is the final frontier. 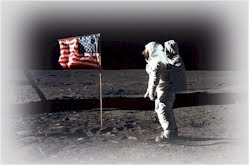 And just as we’ve always done before, America needs to lead the way on the final frontier! We cannot afford to fall further behind in space exploration or technology, and the Trump-Pence administration space policy will also strengthen our military space mission and assets, and reorient our civilian space program towards deep space and exploration. We’re going to promote increased cooperation with the commercial space industry. We’re going to provide capabilities needed for our nation to maintain constant pressure in low earth and beyond. We can be more efficient. We can be more effective. We can use space dollars wisely. But we’re going to do it. We’re going to make the investments, and we’re going to create a brighter and boundless future for America and a growing economy on the Space Coast for generations. I’m especially excited about the fact that Donald Trump already announced that we’re going to relaunch the National Space Policy Council, headed by the Vice President of the United States of America. Donald Trump and I are committed to partnering with the space community, working with each one of you in this great and historic place. To renew and reinvigorate our space program. In a word, President Donald Trump will lead America to the stars! Also read the definitive paper on how President Obama hijacked NASA from space exploration to global warming - by Coalition Director Art Harman. Hillary Clinton and Barack Obama share a vision of NASA that takes no giant leaps in space, only small steps, while watching China and others plan prepare for their conquests of space. At stake is our high tech future, great jobs, investments and inventions, as well as national pride and international respect. Today, in an address to voters in Sanford, Florida, near the famed "Space Coast" where Apollo rocketed our astronauts to the Moon, and where we sent rovers to Mars, amazing space shuttle missions, and built the International Space Station, Trump laid out some details of how he will reverse the Obama-Clinton policies and return America to leading the world in space exploration. "Under my plan, not only will we modernize our Navy’s cruisers, but we’ll also invest in the technologies of the future being developed right here in central Florida. My plan also includes major investments in space exploration, also (being developed) right here. "Over the last eight years, the Obama-Clinton administration has undermined our space program tremendously. That will change. So many things come out from it, including great jobs. And it will change very quickly under a Trump administration. And it will change before it’s too late. "Did you ever see what’s going on with space with Russia and different places and us? We’re like watching. Isn’t that nice. So much is learned from that too. "As a cornerstone of my policy, we will substantially expand public private partnerships to maximize the amount of investment and funding that is available for space exploration and development. This means launching and operating major space assets right here that employ thousands, and spur innovation, and fuel economic growth. "I will free NASA from the restriction of serving primarily as a logistics agency for low earth orbit activity. "Instead, we will re-purpose its mission on space exploration. Under a Trump administration, Florida and America will lead the way into the stars. With a victory in November, everything will change. "Just think about what we can accomplish in the first 100 days."